Lightly toast the bread slices and set aside. In a small bowl, combine tuna through lemon juice (if using) and mix well. Taste and adjust mayonnaise and seasoning, if desired. 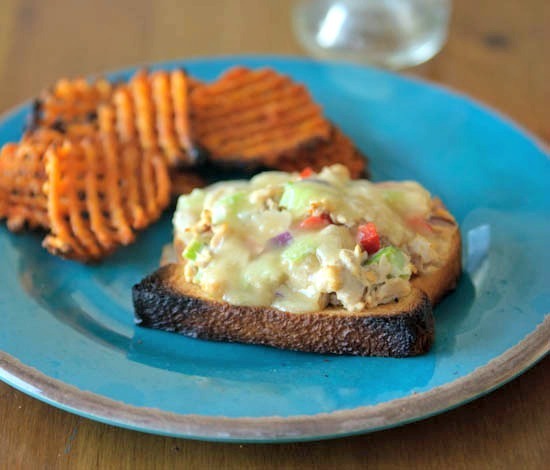 Spoon tuna salad equally onto the slices of bread and top with the thinly sliced cheese. Return to the toaster and toast just until the cheese melts. Cook according to the package directions. 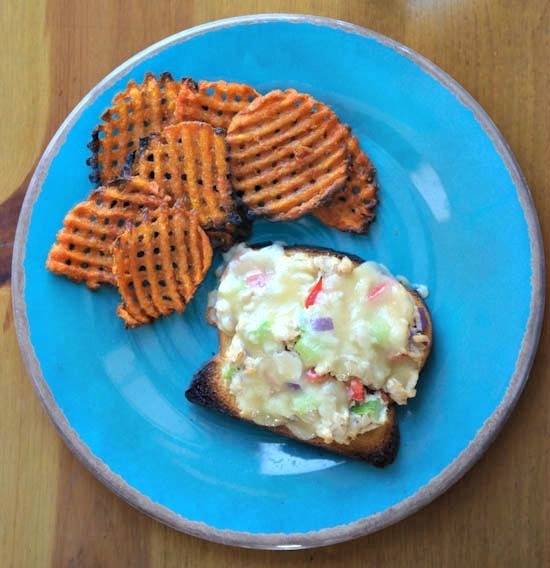 Serve the tuna melts with the cooked sweet potato fries. 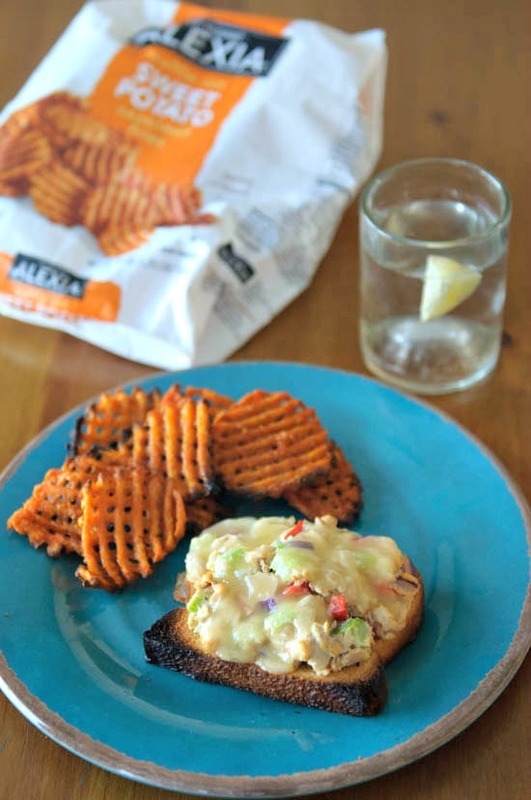 Alexia Foods offers frozen potatoes, appetizers, breads and side dishes with minimal, but distinctive, real ingredients that serve-up exceptional taste. Alexia frozen sides are a delicious addition to a balanced meal with that little something extra and can be ready in 25 minutes—or less. Sign up for Alexia’s Club 350 newsletter for more great meal inspiration. This is a sponsored conversation written by me on behalf of Alexia. The opinions and text are all mine.